ceiling or wall light designed by Peter Beyer, Udo Domröse and Andreas Kuhnardt in 1979. Large ceiling chandelier. Produced by: VEB Leuchtenbau, Leipzig. 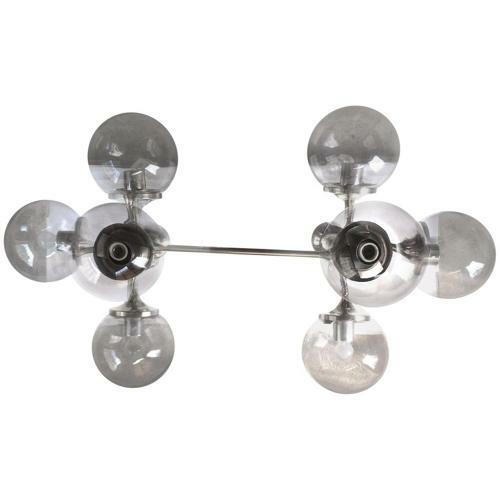 Aluminium, smoke glass shades featuring inclusions, electric, eight lamps. This particular lamp was part of the redesign of Dresden airport in the 1970s. H 25.6 in. x W 59.06 in. x D 31.89 in.